We are a leading publisher of equine books and magazines, including our award-winning publications, HORSE ILLUSTRATED and YOUNG RIDER. 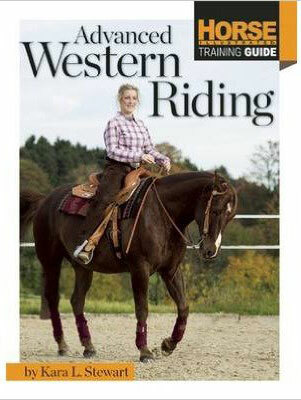 Each month, we feature expert coverage and advice on all aspects of equestrian world, including riding, healthcare, breed profiles and entertainment. New and experienced riders and horse lovers rely on us for information about new advances in healthcare, innovative training techniques and exciting new products, as well as timely reminders and tips for preventative care. 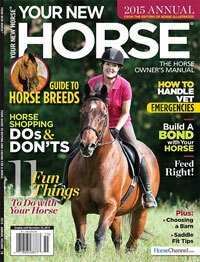 We also publish an annual care guide, Your New Horse, that provides advice from choosing the right horse to shopping for the latest horse products. NOTE: Please go to Amazon.com to purchase I-5 Publishing printed books and magazines. For magazine digital editions, please go to Google Play, ITunes or Amazon to purchase our app. Every issue of Horse Illustrated brings you riding and horse care advice plus equestrian lifestyle trends, new products and everything you need to make the most of life with horses. Join over 63,000 teens and tweens in who turn to Young Rider to learn how to care for and enjoy their time with their horses. 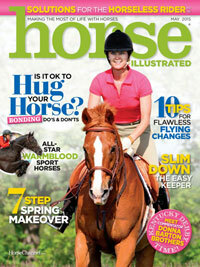 From choosing a horse to essential maintenance tips, Your New Horse covers it all. From breed-specific tips to nutrition, healthcare and grooming, Quarter Horses is everything you need to know about riding and caring for America’s most popular horse breed. Browse through horse books about equine health, natural horse care, horse behavior and more.